Non-Members - Post as a guest. Fanfics - Various DQ Stories! Smart, witty, charming, demanding, smooth-talker, gentleman, self-respected, independent, confident, self-righteous, erudite, responsible, self-centered, optimist, but can be skeptic at times, well-mannered, civilized, open-minded, ambitious. Preston A. Lodge III was born on august 18, 1840, in Boston to banker Preston A. Lodge II and Edwina Lodge. Being the youngest of five brothers, Preston found it hard to achieve goals and was always taken less seriously. As a child, Preston learned to box among his four older brothers, because his father who was a competitive man, encouraged competition. Preston once said: "Unfortunately as the youngest, I spent most of the time on the floor". Preston was taught by his father, always to think before doing any actions rather than making any rash decisions, but most of all to be confident and not show signs of weakness in any situation that would occur. When there’s something Preston sets his mind on, he’s settled to fulfill it and as his father said to him: "Do not lift the load unless you are prepared to carry it the distends". By being born into a wealthy Bostonian family, Preston had the benefits of receiving the best education. 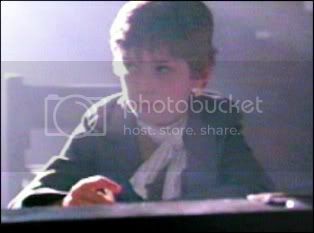 He attended Andover Prep school and later was let into Harvard University, in Cambridge, Massachusetts, where he befriended Sebastian, and along with Albert – Preston’s childhood friend, the three of them became close friends. Preston played third base (baseball) at Harvard, as well as being an assistant coach for his team. Harvard would often seem quite taxing, so Preston found himself relaxing, strolling along the beautiful Charles River, which was located nearby. Preston’s father ran for senator in 1860, but was unsuccessful and tried to pass his ambition down to his sons. Preston, being told he’s exactly like his father, even from his own mother, tends to deny and contradict the so called claims. When Preston decided to follow his father’s footsteps in the banking industry, he began investing in several companies. One of them was the famous Jay Cooke & Company, established in Philadelphia and founded on January 1, 1861. Here Preston invested in railroad securities and found it very reliable. What follows when being in the world of business, is friendship towards powerful people. Along with close friends and family in Boston, Preston has the advantage of knowing friends in Colorado territorial government, Washington and Denver. Specific in Denver, Preston has a friend who’s the editor of the Denver post, a close buddy from Harvard who’s the best reporter for Collier's magazine and an expert wilderness tracker. As the year 1870 approached, Preston traveled to Denver to see Senator Ezra Leonard, about advice in setting up a small financial enterprise. His visit also brought a friendship towards Ezra’s son Caleb. Preston moved to Colorado Springs in June 1870. With him, he had the dream of pursuing great accomplishments and respect, but also he wanted to escape from his family’s pressure and their demanding competition. In his new environments in the west, Preston started out with renting the old telegraph office for his business purpose, while lodging at the local boarding house, which he found extremely intolerant, seeing as the beds were lumpy and with thin walls, Preston could hear almost everything from his occupant. After some time, Preston purchased a building just beside the local barber shop. Here he set up Colorado Springs first bank. Also having a dream of his own real home, Preston purchased a piece of Colorado land. Unfortunately his plans of building a homestead were met with difficulties, as the citizens of Colorado Springs were against him cutting down a certain tree called "The Kissing Tree". 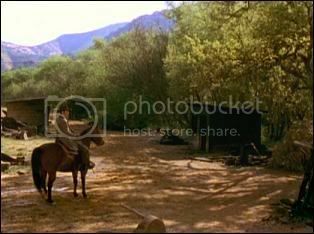 Thus the circumstances, Preston was able to follow his plans, removing the tree and soon after hiring men from Soda Springs to build his house. However, plans were changed and it was not until years later that Preston finally had his home built on his property. In November 1870, Preston planed to establish a resort, with a fine hotel and casino. Promising the mayor Jake Slicker to be a partner in this venture, Preston secured a great deal of support and received the town councils vote of approval. 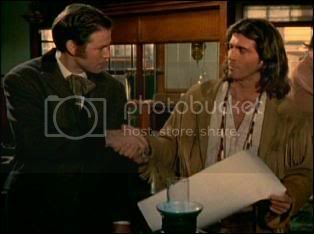 With no written document of partnership, Preston confronted Jake that his position at the hotel would be as the man running the barber shop rather than being a so called equal partner. Shocked knowing this, the mayor joined forces with other town members and together they prohibited Preston’s plans of establishing. Preston has never been a man of violence or carried any weapons. However in early February 1871, he purchased his first gun and killed a mountain man, which led him to receive a check of 1000 dollars. This event was acted out of wanting to have the respect he never seemed to receive back in Boston, among his brothers. In mid-February 1871, Preston, with plans of establishing Colorado Springs’s first real hotel, began speculating on finding suitable building locations. First choice for Preston was the storehouse between the bank and the train station. Unfortunately the owner "Old Man" Voss wasn’t selling. This led Preston to turn to his next alternative - the hot springs. After having secured the final investor for his hotel, Preston was now ready to close on a land deal and building plans were set to begin in May. On March 4 1871, a telegraph company asked Preston to act as their broker, selling the telegraph office in Colorado Springs. A journalist, Dorothy Jennings, showed interest but hadn’t the financial cost to purchase it herself. She requested Preston for a loan, but he declined as she didn’t have enough collateral to provide. Later Dorothy visited Preston, in hopes of him changing his mind. As their conversation maintained, Preston found the trigging idea of having a part of the Gazette, leading him to future benefits, as the newspaper can have huge influence in town. Preston, with plans of his own, invited Dorothy for supper to talk more about the prospering business. When Preston announced he’d be willing to give the loan, in terms of him owning 51 % of the Gazette, Dorothy became disappointed and turned the offer down. With a new idea, Dorothy visited Preston again, offering him to be a silent partner owning 49 %. At first Preston wasn’t thrilled, but as Dorothy kept speaking her mind, she finally convinced Preston to take the deal. Preston is not a racist, neither towards black people or woman working. He does however find Indians being savages, but is open for the idea of doing business with them. In early April 1871, a female painter, Isabelle Maynard, visited Colorado Springs, hiding a personal secret. It was love at first sight for Preston, who’s enchanted by this woman he defines as being the only one he truly could be himself with, and felt that he knew her. However when the awful truth about Miss Maynard having leprosy was revealed, Preston found himself deeply crushed and the thought of having anything to do with her, frightened him. Doing only what he thought would be appropriate, Preston offered Isabelle a private luxurious train carriage and a letter of credit, so she could seek the very best care. Despite of Preston’s thought of this being a generous gesture, Isabelle kindly rejected the offer and left town. On May 17 1871, Preston’s ground-breaking ceremony for his hotel – "Springs Chateau & Health Resort" was held, with the participation of his investors. For this event Preston asked Grace - a woman owning a café, to provide the food, which she gladly agreed to. Two days later Myra, Preston’s employee at the bank, asked to take some time of from her job, so she could go to St. Louis for a while. Preston accepted this, however months later, he received a telegram from her, asking him to confirm her employment at his bank, so she could work at a bank in St. Louis - which Preston provided. Needing a physician for his chateau, Preston encountered a young man named Dr. Andrew Cook, who was visiting town due to a birth. With the opportunity, Andrew considered the offer made by Preston, of him running the chateau’s medical clinic, as he had been promised to stay in Colorado Springs to watch the local clinic. Construction of the chateau began and was scheduled to be completed in six months time, as well as plans of paving a road from center of town, leading strait out to the hot springs. Colorado Springs mayoral race took its run for the second time in October 1871. For months Preston had been planning to run for mayor, even writing home to his family in Boston, promising his victory. 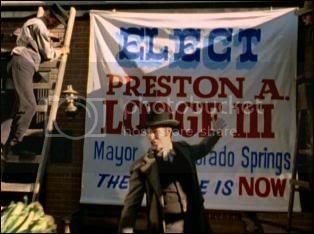 With a special ordered banner-sign, with the words "Elect – Preston A. Lodge III – Mayor of Colorado Springs – The future is now" and a fine education to provide, Preston was assumed the great winner against the second candidate Jake Slicker, the current mayor. 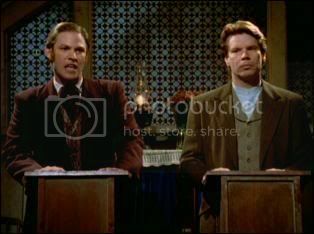 While running for mayor, Preston thought rapidity of a nice little slogan, being quite catchy - "A vote for Preston is a vote for you". Preston hoping Dorothy would write an endorsing article about him, as it was one of his plans when having a part of the Gazette, found it greatly disappointing when she rejected what he had pointed out as a questioning suggestion. While the election took place, Preston in the meantime secured a new employee – Grace, to run his chateau’s dining room, with a written contract. The issues Preston supported were: bringing more business and prosperity to town, promising each citizen more prosper with the growth umpiring the town, as well as, better municipal services and better representation in Denver. Also the future of the children was an important matter, making Preston fond the school with a check for 100 dollars for the purchase of new textbooks. The generous act of donating a substantial contribution to the church, were made as well and with Preston’s confident words: "Now you know when I say something is going to get done, you know it’s going to get done" - made Preston a highly recommended candidate for the mayoral post. However with the support from a respected female citizen and delivered votes from Shanty Town, Jake was able to defeat Preston and remained mayor. November 1871, while training a new bank clerk, Mr. Gormley, Preston experienced his first bank robbery. 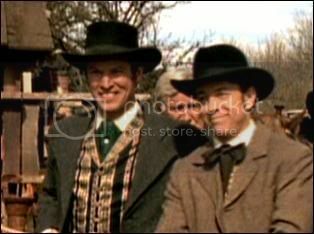 The outlaws took most of the money in the safe, but thankfully Preston and his employee, weren’t harmed. Later same month, Preston began employing new staff, including a young boy named Oliver. First impression of this boy was his intelligence and determined will to achieve high accomplishments, which led Preston to think highly of him and to have future hopes of someday making the boy his apprentice. However, Oliver has plans of his own, which Preston is unaware of. End of November 1871, the chateau had been completed and ready to open. 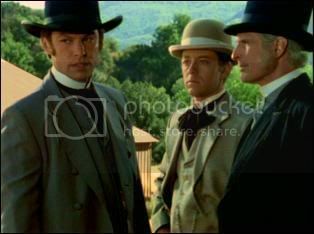 Everything was going accordantly - the investors were coming and Preston’s association with the young doctor - Andrew, had turned out positive, as Dr. Cook had agreed to accept Preston’s offer to be resident physician at the chateau. Preston, who looked forward to show his many accomplishments, had telegraphed his father, who he hadn’t seen since his departure from Boston fourteen months earlier, to come out to Colorado Springs, for the huge upcoming celebration. When Preston’s father – Preston A. Lodge II, bank owner of Boston’s fine bank National Trust, stepped his feet for the first time in Colorado Springs, his expectations were fare higher than his son was able to provide. The little town was too weak, having dirt streets. The bank was too small. The fact that a woman owned more percentage of the local newspaper was ridicules and finally the finished hotel was not as substantial as it could have been. Having indicated how hard he had worked with his new hotel, Preston couldn’t help feeling unhappy and neglected, wishing he had been given more praise, from his own father. 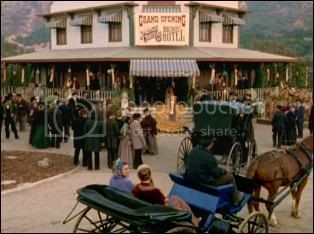 Thursday – Thanksgiving, the day Preston had waited and planned for such a long time, had finally come - the grand opening for the Springs Chateau. The day had to be perfect - nothing could go wrong, this event was too special. The Reverend had agreed to do a benediction for the hotel and everything had been planed very festive for the huge ceremony, with food provided by Preston’s accomplished employee Grace and a band of musicians was hired to keep the atmosphere joyful. However, a terrible storm was about to change what had been planed as a successful event. The investor’s train was detained and even though Preston had sent some carriages out to pick them up, circumstances made them unable to be present for the opening. As the storm kept getting worse and rain started to pour, Preston was forced to proceed with his plans, only to find everyone present, leaving him alone at the rostrum, saddened more than ever. 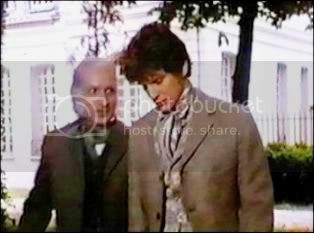 His emotional pain did not reflect back at his proud father, who only saw his son humiliated with his stubbornness. When the storm, later a tornado, finally diminished and the sky had cleared, there was what once had been a respectable building, now was in greatly damaged condition. Several people were badly hurt, some even died from the happening, which left Preston with guilt and despair in this cruel nightmare. With the words from his father: "Misfortune only made me stronger. 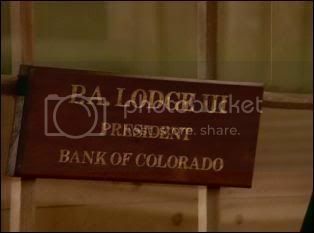 I learned from it - then moved on - ever forward, that's the Lodge way" gave Preston the hopes of overcoming the tragic event. After the departure of his father, Preston returned to his damaged chateau, only to be overwhelmed surprised by the people of Colorado Springs, present repairing his hotel. December 1871, Preston’s rival hotel "The Gold Nugget" opened, which made Preston gain a competitive mood. His action of "stealing" the hotel’s first costumer, led the two owners Hank and Jake, to steer up a conflict about "white only". This unfortunate and foolish event caused Preston to loose Grace as an employee, and later to discover her being employed by the same two rivals. Every town has its respected citizens. As for Colorado Springs, it’s Dr. Mike and her husband Sully, who folks esteemed with huge admiration. Even though Preston has his dislikes towards this couple, he defines them possessing high level of respect, both in town and towards himself. He prefers calling Dr. Mike by her first name (Michaela) and had even offered her to run his medical clinic at the Springs Chateau. As for Sully, who Preston despises most of all in town, he had offered him to be responsible for leading excursions into the wilderness. Both job offers to the couple were rejected. January 1872, a company run by Danforth planed to build a dam above the Cascade River, causing to flood the Cascade Valley. This event would cause the river that ran by the Springs Chateau to dry up, which Preston could not allow. That river was priceless for the hotel - a huge attraction, where guests would come to fish, and stroll along. By destroying it, making a dry river bed, would not only lose visitors, but also destruction of one of the most beautiful valleys in the territory. To prevent this act, Preston hired two men to persuade the cause of action and fund himself in need of help from his disliked friend Sully, who decided to go along, but only to make sure no one got hurt. However when the plan was in motion, which was to hijack some dynamite, things went out of hand and a driver was shot, leading Sully to court. The current sheriff Matthew Cooper convinced Preston that if he was ready to cooperate, testifying on Sully’s behalf, the suspected charges against him would proceed untold, which Preston accepted. The court sentenced Sully to three months in jail and the damming procedure was carried out. In early March 1872, Sully was assigned to build a homestead for Preston, using only the finest materials. Preston, with lots of ideas for the design, often changing them, gave a construction schedule for the house to be completed in four month time. After finishing half of the house, Sully declared he would stop working due to personal issues, but eventually he completed the homestead after telling his wife Dr. Mike, in April 1873, in a matter of speaking, his reconsideration towards finishing Preston’s homestead. April 1872, Preston revealed he had convinced the western division of the American medical society to have their convention in Colorado Springs, taking place at the Springs Chateau. Visiting for the event, was William Prindaley, a writer of a column for the medical society journal, wanting to do an interview with Dr. Andrew Cook. Figuring a way to earn more profit, but also contributing to the event, Preston came up with the idea of creating a health tonic, to be sold at the chateau. At first Andrew was not fond of a tonic consisting of 80 % alcohol, but when combined with certain herbs, he came to terms with also believing that the power of positive thinking can be beneficial. With Preston’s insistence, Andrew tried as much as he could, to prescribe the health tonics, even though they had little or none medical value. A powerful man, Harry B. Smith, owner of half the land in Colorado territory, pointed out that his stay at the Springs Chateau had been nothing short of miraculous, believing that Preston Lodge had truly found the fountain of youth, with a genius to run it – Dr. Andrew Cook. May 1872, while having red an official publication notice for the Gazette, concerning the government selling the land that served as the Palmer Creek reservation, a trigging idea hit Preston. "Get rich" were the words Preston spoke when he revealed his plans, after officially placing a bid on the reservation land, at the local telegraph office. 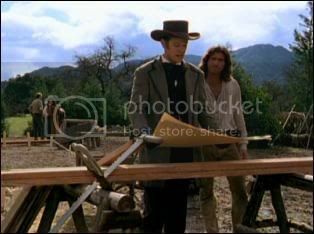 Later Preston revealed to his closest friend in town – Andrew, that he had plans of setting up a lumber mill on the deserted land. Preston had plans of beginning construction as soon as the railroad had built a spur line, off the main track, into the reservation land. He needed to transport his timber by rail, seeing as the local waterway wouldn’t suffice. Clearing all the land, would make way for future developments, such as homes and businesses. "There’s no limit to how much this town can grow" stated Preston. Excited about his future venture, Preston was keen on making a public statement threw the Gazette, announcing his purchase of the land. Dorothy, who had been told by Preston that her loan for the Gazette would be called in, due to her personal interest with the Indians, found herself unwilling to do further tasks for Preston. 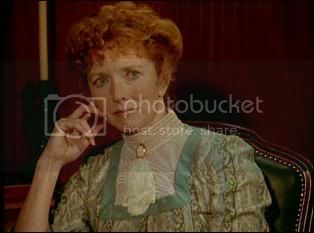 This made Preston reconsider his statements, but he had to cut the interest rate for her loan by three percent, to persuade Dorothy to maintain her position, so she could print his notice, which Dorothy agreed to. When the announcement by telegram arrived, Preston received a major shock. His so called foolproof land-purchase was overbid by Sully’s best friend and newly citizen of Colorado Springs – Mr. Daniel Simon. Extremely furious, Preston tried to make things clear that he defiantly wasn’t going to surrender what had been intended his property. Unaware of an intension from Daniel, for confidential purpose, Preston received a powerful punch right in the face, causing him to fall strait to the ground, making a scene. Preston demanded Daniel arrested for the assault, but with no current sheriff in town, charges were dropped, also seeing as the sheriff position should soon turn out to be in the hands of Daniel himself. In January 1873, the storekeeper Loren Bray came to Preston with a business proposal, concerning the sale of the general store. Preston gave it consideration and shortly after accepted gladly the intended deal. By the time Preston was ready to write a contract, the presents of a certain customer, Dr. Mike, caused discomfort, which made Loren adjourn the agreement. Later Dr. Mike accompanied Preston with the hopes of him delaying the final negotiations. Irritated of her involvement, Preston stated that the change of ownership would only benefit the town, with the store expanded and much larger inventory, carrying only the finest products. This involvement from Dr. Mike should soon turn out to have poor consequence for Preston. Loren Bray announced he wasn’t going to sell the store and made Preston rip up the proposal. 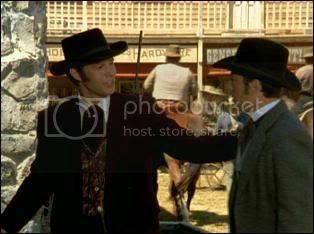 Mid May 1873, a newlywed mayor – Jake Slicker, offered to sell his part of the Gold Nugget to Preston, who was more than thrilled to accept and to go into business with the other half owner Hank Lawson. Ideas began circulating in Preston’s mind, such as adding on a second floor and knock out a few walls - convert the Saloon into a dining room. After securing a contract, making him half owner of the Gold Nugget, Preston received an urgent letter. What was stated in this letter should soon turn Preston’s life up side down. The next morning, without having slept and in deep stress, Preston decided to close the bank with the excuse of feeling ill, even though he had clerks working for him. 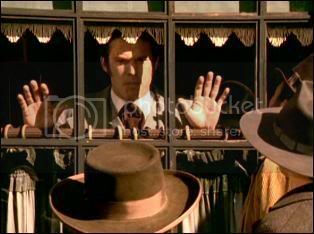 When Preston encountered Hank, his so-called partner, Preston announced that he was willing to sell his part of the Gold Nugget that he just had purchased from Jake. Surprised, but glad, Hank accepted, but only for the price of 800 dollars - a price much lower than what Preston had paid. Beat and beside himself in his new crises, Preston had no other choice than to agree. Andrew Cook, who had plans of starting up his own medical clinic as well as getting married, encountered Preston outside the bank, with a nervous statement. 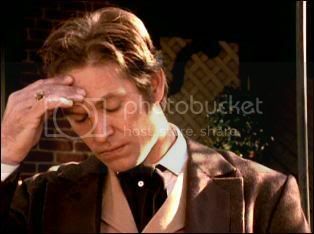 The news of Andrew wanting to quit working at the chateau’s clinic, made Preston react with silence. Preston remained calm as he accepted the decision, which Andrew found extremely odd, since he had been working for one and half year, providing dedicated service. Finding Dorothy at the general store, Preston informed her sadly that he had been forced to call in her loan on the Gazette and this time with the circumstances, he meant it. Dorothy became completely in shock, especially when she learned Preston also had plans of selling the Gazette. She found herself speechless – there was no way she could come up with that amount of money. As the word was let out threw the Denver post, that the Stock Marked had crashed, Preston could no longer hide his depressing secret. The people of Colorado Springs were in "panic" – they wanted their money from the bank. Seeing as this was impossible, Preston explained that their deposited money was invested in stocks - 10 cents on the dollar, and because of the crash, the stock-broker demanded the full amount of the value of the stocks, meaning he had "lost" the townspeople's money, along with his own. Some time later, with the fact of having to pay the money his broker demanded, Preston took one of his most difficult decisions – he was going to sell his Springs Chateau. Shortly after this announcement, Sully sent a telegram to Senator Dinston, who had a friend who was looking to build his own health spa. Seeing as this friend was interested in purchasing the already built Springs Chateau, Sully and his wife Dr. Mike, came to Preston with the notification of interest and offer. Extremely heartbroken, with no other choice, Preston accepted the deal, as it was a fair offer. Having lost his most precious accomplishment in life, Preston assured himself and his disliked friends, with the words "If you think I’m finished here, you’re wrong..... I will get the Chateau back, at whatever cost"
Dorothy, who was unable to purchase the Gazette by herself, was surprised when Loren came to her with the news that he had purchased the newspaper for her, and that she could make payments to him while he made payments to his bank in Denver. As circumstances were, Preston had lost almost everything he had achieved in Colorado Springs. It was not until 1877, when the "Panic of 1873" finally ended, that Preston had the financial resources to purchase back his Chateau and continue his banking business in Colorado Springs. September 1877, two close friends of Preston - Albert and Annabelle, visited Colorado Springs. Annabelle who Preston secretly had feelings for, was in need of care to receive her lost memory back, which she had lost in a mysterious accident. Albert asked Preston for help, not only providing service and memory-help for his wife, who recently discovered she was pregnant, but help with personal problems as well, concerning his relationship with Annabelle. Thus the circumstances, Preston was glad being surrounded by his dearest friends, also being glad that he recently regained his former employee, Dr. Andrew Cook, who had plans of purchasing a home in Colorado Springs, for him and his wife Dr. Colleen Cooper Cook. Has knowledge about famous painters and their works. Knows artists such as Claude Monet and Camille Pissarro. Has made decisions on every aspect and detail to his hotel. Had a creative idea of having a window in the sealing in his homestead. Dr. Michaela Quinn – Running the medical clinic at the Springs Chateau. Matthew Cooper – Cutting down "The Kissing Tree". Robert E. – Driving a buggy service out to the Chateau & cutting down "The Kissing Tree". Cloud Dancing – Selling his wears at the Chateau and performing Indian dances for guests. Dr. Cassidy – Since Preston had advertised in the Denver Post, for a physician to run his medical clinic at the Chateau, Dr. Cassidy had showed extremely high interest for this position. 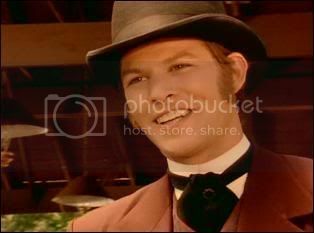 However Preston was not keen on hiring him and instead hired his first choice - Dr. Andrew Cook. According to theory, Preston arrived in Colorado Springs at the age of 29. Two month later, he celebrated his 30th birthday. Preston knows the story of Aladdin. (Ep: A New Life) Preston sees Horace drive his new surrey and shouts to him "Like a gliding magic carpet Horace!" 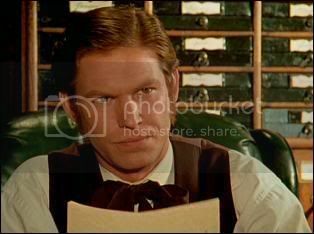 (Ep: Hearts & Minds) Dorothy recommends Preston to invest in John D. Rockefeller, who in 1870 founded the Standard Oil Company. Had Preston followed Dorothy’s advice, he would have become an extremely wealthy man. The Rockefeller Company led the founder to become the world’s richest man in history and first U.S. dollar billionaire. (Ep: Fear Itself) Preston encounters a female painter named Isabelle. In real life, J. Leland Adams’s daughter is named Isabelle. Along with his first language - English, Preston also knows Latin. (Ep: Fear Itself) Preston spoke words as "Ars longa" (Art is long) "Carpe diem" (Seize the day). (Ep: Starting Over) Preston, knowing politics, had heard about Victoria Woodhall, who in 1872 was the first woman to run for president in the US. Making his knowledge known, Preston answers Marjorie Quinn in 1872 about Victoria Woodhall advocating about free love. (Ep: A New Beginning) Preston is a victim of a stock market crash. This was based on a true event that occurred in 1873. It was not until 1877 that the panic finally ended. "If you think I’m finished here, you’re wrong..... I will get the Chateau back, at whatever cost"
That woman was a doctor? Well, I can hardly wait to get sick!